How Can I Make My Home Office More Audit-Proof? The IRS will look into whether you comply with the "regular and exclusive" use test for your home office if it decides to visit your home business. This means that you must use your office regularly for business and your use of the area must be exclusive. You—or your family members—can't do anything else there, and it should be clear of personal effects. 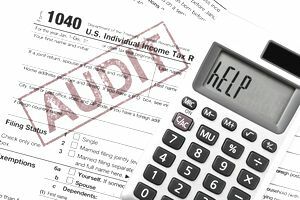 CPA Gail Rosen answers some questions that might help you prepare for a possible IRS audit of your home office. I have some personal photos and decorations in my home office. I figure you would find these in a business office, so I don't think those would be a problem. Or are they? Photos and decorations are OK, but be careful. If the decoration is a putting green or a dart board, this can indicate that you're doing something personal there. You can argue that you might be allowed to have a putting green or dartboard in a regular office, but it's different in a home office. Any personal use disqualifies the deduction. I have business files mixed in with personal filing in my credenza and desk. I've been told this combined system is more efficient. Should I remove the personal files and put them somewhere else? Yes. The safe thing to do is to move anything personal to the personal part of your house. The law states that there can be no other use of your office space. Keeping your personal financial records on file in your office disqualifies it for a business tax deduction. I have many books in my office, but they are all business and work-related. I figure these are acceptable. Yes, business books are fine. It just can't be anything personal. I print home stuff on the printer in my business office - should I get another printer? The safe thing to do is to get another printer. The printer has to be used 100 percent of the time for business in order for its cost to be fully deductible. I have my own business on the side but I also work full time for an employer. If I use my room for both my employer and for my business, does that affect my home office deduction? You must meet the home office requirements as both an employee and a self-employed person in order to take a deduction for each. As an employee, the deduction can only be taken if you're working there for the convenience of the employer—not for your own convenience. It must be a requirement of the job and you would have to be able to get a statement from your company that indicates this. I have a TV and VCR in the room and can prove that I use that for business. Can that affect my home office deduction? In a 1994 tax court case, TC memo 1994-27, Dr. Salih was denied a home office deduction for failure to provide evidence that an office containing a television and a VCR had no personal use. Ask yourself this: How are you going to prove that you don't watch an occasional TV show or movie on this equipment? If I use my exclusive room for personal use after business hours; does that affect my deduction? Yes. In another court case, Cook v Commissioner, TC Memo 1997-338, an attorney was denied deductibility for a portion of his residence used as a home office because while the residence was, in fact, the principal place of business for his law practice, the portions used for business were also personally used by the attorney and his family. This use occurred after business hours and presumably on weekends and holidays. Thus, the space for the law practice failed the exclusive test and the entire home office deduction was denied. I read about a husband-and-wife business in which the couple had dogs that they let stay in their home office during the day. They also let the dogs sleep in the office at night. Is having dogs in your office a problem? Dogs sleeping at your office at night would disqualify the home office deduction. There can be no personal use. It's just the same as allowing your child to sleep there at night. It's all personal. If you go to an IRS office for the audit, and if your business includes a home office, you might want to bring photos to show and substantiate that the area is indeed being used as an office. Having a photo might give you a better chance of not having an auditor come to your home, but don't count on it. The IRS might still want to see your home office, or an agent might even come by unannounced.